Editor’s note: This story has been edited to clarify that short sale properties are not owned by banks. Industry groups representing appraisers say the Obama administration’s short-sale incentive program lacks safeguards to prevent mortgage fraud, including so-called “property flopping” schemes in which real estate agents help investors obtain distressed properties at deflated prices. In a letter to Treasury Secretary Timothy Geithner, four groups representing appraisers, including the Appraisal Institute and the American Society of Appraisers, urged the Obama administration to prohibit the use of broker price opinions (BPOs) when valuing properties eligible for the Home Affordable Foreclosures Alternatives (HAFA) short-sale incentive program. The National Association of Realtors did not immediately respond to a request for comment by Inman News. While some real estate agents acknowledge that property flopping and mortgage fraud can be a problem with short sales, they say BPOs in and of themselves are not necessarily to blame. The HAFA program guidelines issued by the Treasury Department in November include measures intended to thwart fraud. Properties must be publicized in a multiple listing service (MLS) and marketed by the listing broker. 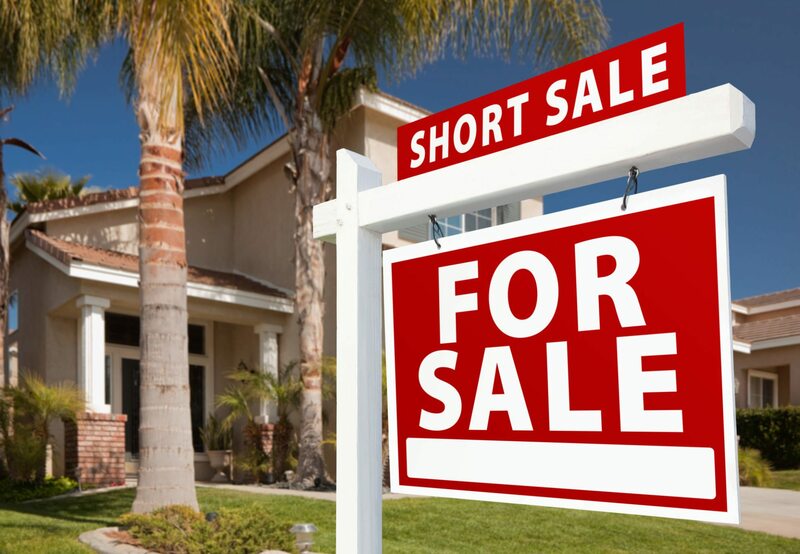 Any short sale “must represent an arm’s-length transaction and that the purchaser may not sell the property within 90 calendar days of closing, including certification language regarding the arm’s-length transaction that must be included in the sales contract,” the guidelines say. But industry groups representing appraisers cited recent studies, like a mortgage fraud risk report by Interthinx Inc., as cause for concern. The Interthinx report showed schemes involving short sales and “real estate owned” (also known as bank-owned or REO) properties has increased by nearly 50 percent over the past year and doubled over the past two years, the groups said. A U.S. Treasury Department representative did not respond to requests for comment. According to a fact sheet issued by the Treasury Department in May, lenders may use an appraisal performed in accordance with the Uniform Standards of Professional Appraisal Practice (USPAP) to determine a property’s list price and any permissible reductions, or one or more BPOs. Either way, the valuations must be dated within 120 days of the short-sale agreement. Laws in 23 states limit real estate agents and brokers to performing BPOs only to assist buyers or sellers, the groups also noted, and lenders who sign off on short sales do not own the properties and are not buyers or sellers. The HAFA program is aimed at borrowers who are eligible for the Home Affordable Modification Program (HAMP) but who did not qualify for or failed to complete a trial loan modification. HAFA sets up a streamlined process and provides incentives to divert homes headed for foreclosure into a short sale or deed in lieu of foreclosure. In addition to questions about whether the program will be able to prevent fraudulent transactions, there are also doubts about whether the incentives offered will be enough to prevent a significant number of foreclosures. Because the claims of lenders who have made second, or “piggyback,” loans on many properties often derail short sales, the HAFA program also provides incentives for paying those claims off. To defray the costs of paying off claims by second lenders or other subordinate lien holders, the first lender can be reimbursed $1 for every $3 it provides to subordinate lien holders, up to a maximum of $1,000. In other words, a first lender that provides $3,000 in proceeds from a short sale to a second lender can receive $1,000 from the Treasury Department. The program restricts payments to subordinate lien holders to no more than 3 percent of the unpaid principal balance of their loan, up to a maximum $3,000. That means a second lender owed $50,000 could receive no more than $1,500 — which Bangs said is not enough of an incentive for the second lender to agree to give up its right to obtain a deficiency judgment against the borrower. Investor limitations on payments to subordinate lien holders have reportedly led some to pursue payments outside of closing. In January, CNBC real estate reporter Diana Olick wrote about attempts by subordinate lien holders to get real estate agents or buyers to make payments to them outside of escrow. The Escondido, Calif.-based North County Times documented similar practices in an article published in November. Title insurer Fidelity National Financial, in the September 2009 edition of the company’s newsletter, “Fraud Insights,” documented a case in which a second lender demanded a $9,141 payment outside of closing that had supposedly been negotiated between a buyer and short-sale negotiator. There’s some anecdotal evidence that short sales provide opportunities for “property flopping,” in which a real estate agent, instead of actively marketing a short sale or REO property, works with an investor to facilitate a sale of a property at much less than its market value. Jim Klinge, a San Diego broker-owner, writes about interesting transactions on his blog bubbleinfo.com, and posts videos as “Jim the Realtor” on YouTube. One such transaction involved a property that was placed in a multiple listing service and withdrawn within 48 hours, eight months after the agent took the listing, he said. “The only thing I could think of was (the agent) had that short-sale cooking, and the bank must have come back and said, ‘You didn’t put that on the MLS,’ ” Klinge said in a recent video. Contacted by Inman News, Klinge declined to identify the agent. “I could give you dozens of examples, and yet (it appears there is) nobody doing anything about it,” Klinge said. The HAMP and HAFA programs can tap up to $75 billion from the $700 billion Troubled Asset Relief Program (TARP).